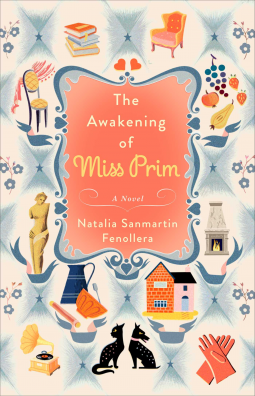 I have a confession to make: the moment I read the blurb of The Awakening of Miss Prim by Natalia Sanmartin Fenollera, I already fell in love with it and could not wait to get ahold of a copy. For a book lover like me, the notion of being holed up as a librarian in a quaint and idyllic French town was like a dream come true, and this book seemed like the perfect avenue to live that dream. And I must say that the book does not disappoint, although it has its shortcomings (which I’ll get to later). Basically, the novel tells the story of Prudencia Prim, a woman who somehow needs no further introduction because her name says it all. Prudent as well as prim, the highly educated, proud, practical, and sometimes sentimental Miss Prim applies for a job as a librarian for a gentleman living in San Ireneo de Arnois, a remote French village described as “a place that was firmly rooted in the past.” She gets the job, spends some time in the village, and falls in love with the Man in the Wingchair, the gentleman who happens to be her employer. That’s as much as I can tell you without spoiling the story. For such a character-driven plot, it is important to also have a compelling main character. In a way, Fenollera chose a perfect character to explore in the image of Prudencia Prim, since this woman already has set ideals and moral principles that are constantly being questioned and even debunked by the people of San Ireneo. Her stubbornness in trying to assert what she believes she already knows and has an opinion on can be pretty irritating, but I think that this flaw is also her charm. Flaws are what keep characters interesting, in that their awakening becomes more compelling. Being the heroine that arrives to a new village, Miss Prim also has a certain aura of mystery, a burden that she’s carrying from her past into her present, and this mystery that surrounds her is probably one of the reasons why readers remain hooked to the novel. But this intriguing personality can easily get old. As the monk in San Ireneo says, “People who leave a place without reason are either running away, or seeking something.” I was a little disappointed at how her past is not fully explored. All we saw are glimpses of her “inner noise”, and these are not enough to sate my curiosity on what kind of deep discontent drove her to seek refuge in such a small, remote town. I would have liked more insight on why Miss Prim ran away from her previous world. I’m not seeking for a full flashback of what her previous life had been, but it should have been enough to justify her motivations and actions in the present. There are stories in which you don’t need to disclose the past, and I don’t think that this is one of those stories. I have reservations about not naming the Man in the Wingchair as well as his mother, for both characters are instrumental to the awakening of Miss Prim. Perhaps it’s just a matter of style and preference. But the character that I really found interesting was the old Lulu Thiberville, who contributes substantial insights regarding optimism and admiration. Her views are contradictory to the norm, and I love how these are eye-opening for the reader yet quite scandalous to the sensitive Miss Prim. The village of San Ireneo can also be regarded not just as a mere setting but also as a character in the novel. It has its own personality, adding charm to the novel, making it especially appealing to lovers of art and culture, which is perhaps Fenollera’s target audience when she wrote this book. If you’re used to reading action-packed, adventure-type stories, you can conclude that nothing much happens in this novel. There is forward movement, of course, but those who are looking for fast-paced plots will find themselves disappointed at how slow time flies in San Ireneo, and how everything seems to be unfolding in such a relaxed and leisurely pace, without the sense of urgency that so many plot-driven novels find essential to contain. This is not the case with The Awakening, so if you’re not expecting to find something like what I just described, back off and run far, far away. While this book is certainly not for everyone, it does touch on a subject that is quite familiar to everybody. One of my literature professors once said that there are two kinds of character-driven plots: a hero goes to town and a hero leaves town. While it’s pretty obvious that The Awakening is all about the heroine arriving to town, you’ll realize as you read along that the novel actually satisfies both kinds of plots. In every journey towards awakening, there is an arrival and departure, and both are equally necessary in order to arrive at one’s destination, if ever there is one. And I certainly think that one of the greatest strengths of this novel is the way it ends. I’m not going to spoil it for you, but I can say that at the very least, this novel is more than just a romance story. It is very easy to conclude that bit about romance based on the blurb and the title on the novel, but I think that the way the novel ends is a lot more satisfying and enriching than having it go down the romantic route where the heroine gets a conventional happily ever after. And with that, I’ll shut up about the plot before I totally spoil the ending. I think that Fenollera’s writing style can be aptly likened to Miss Prim’s morally sensitive nose, always turned up “higher than ever in the air” in a self-important manner. It is certainly an intelligent novel for intelligent readers, if you want to be able to wade through the many references and allusions in the novel, such as the importance of reading Louisa May Alcott’s Little Women in your teenage years for instance. 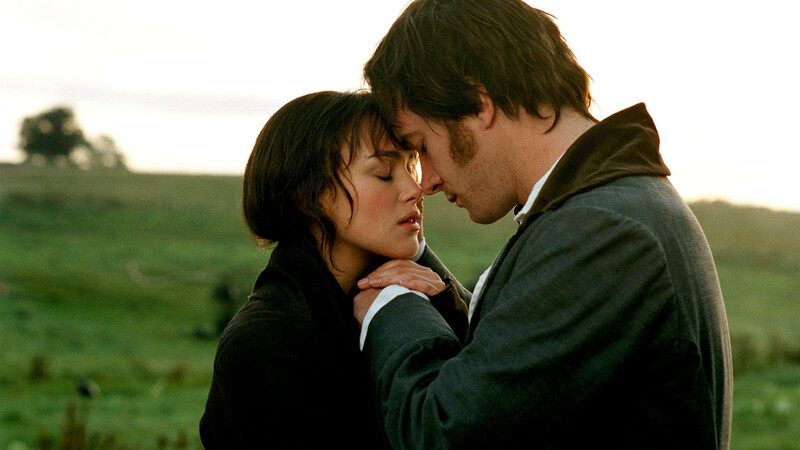 In fact, Miss Prim and the Man in the Wingchair remind me so much of Elizabeth Bennett and Mr. Darcy from Jane Austen’s Pride and Prejudice because of their witty banter, Miss Prim’s prejudices, and the Man in the Wingchair’s always winning an argument. Then of course, there’s Dante, Virgil, Homer, even St. Thomas Aquinas—it’s so easy to get lost, but for the literary-minded, it is a welcome and stimulating discussion. I admire Fenollera because such a novel with intelligent characters can be very tricky to write. Everyone has something substantial to say, and she has to deliver it in such a way that each character has his or her own voice. But somehow, this very thing is what turns some readers off, as the text can appear somewhat “snobbish” in its philosophical musings. There is also that looming tendency to over-romanticize things, but thankfully there are only a few of these instances. It’s hard to pinpoint what this book is all about. It can be a myriad of things, such as romance, beauty, literature, art, philosophy, and even feminism. But I think that what I love about this book is not so much as the theme, but the fact that it interrogates and questions your beliefs and principles. As readers, we are put into the shoes of Miss Prim as we are slowly being questioned, dismantled, laid bare, and finally awakened to one of the things that we seek in life, and that is beauty. Indeed, “What beauty will save the world?” Miss Prim keeps on pondering Dostoevsky’s line. I daresay she was able to answer that in the end. And I hope that you do, too. Next Post Special Lev Grossman “Magician’s Kit” Giveaway!! It is dispiriting to read how much you love this book–as do I–and discover you TWICE refer to San Ireneo as a small village in FRANCE—how could any reader do this? ?